Indianapolis Early Music (IEM) is America's oldest continuous presenter of Early Music. 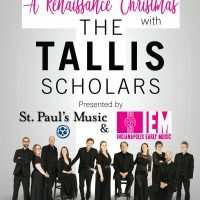 Originally known by its corporate name of Festival Music Society, it was established in 1966 as a not-for-profit organization to enrich, educate and entertain audiences with the music of Medieval, Renaissance, Baroque and early classic eras. IEM is chiefly known for its annual summer Early Music Festival, a series of six concerts over four weeks. It presented its first festival in 1967. The Festival presents national and international performers, performing on instruments of the period. In addition, IEM presents a concert in the spring often featuring well-known groups on tour or those who are developing a following. Indianapolis Early Music has been the setting for North American premieres of important music works. Famed harpsichordist Igor Kipnis performed the cycle of seven Bach Partitas in Indianapolis before making his Grammy-nominated recordings of them for Angel Record. The recordings carry a credit to IEM’s parent, the Festival Music Society. In addition, IEM has introduced a series of exceptionally gifted young artists who have gone on to successful professional careers. 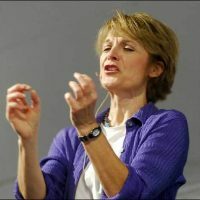 It has a long association with National Public Radio and broadcasts selections from IEM concerts on its program Performance Today as well as Harmonia.